The SAINT Victor series is a purpose built platform with premium features right out of the box! Designed based off real-world defensive scenarios, the Victor is perfectly suited for any challenge. 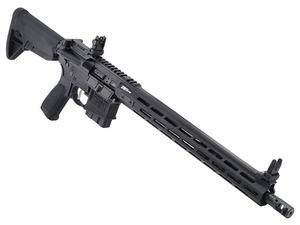 The Victor rifle utilizes a 15" free float M-LOK handguard, spring loaded flip-up sights, SA muzzle brake and HPT/MPT tested bolt carrier group.